Because the planets are so terribly old, and impacts so rare, I still have this (very slight) prejudice that craters are old too. The Moon was bombarded billions of years ago, and the craters on Earth are mostly so old that they’ve eroded away. Heck, even a "new" crater like the one in Arizona is tens of thousands of years old. 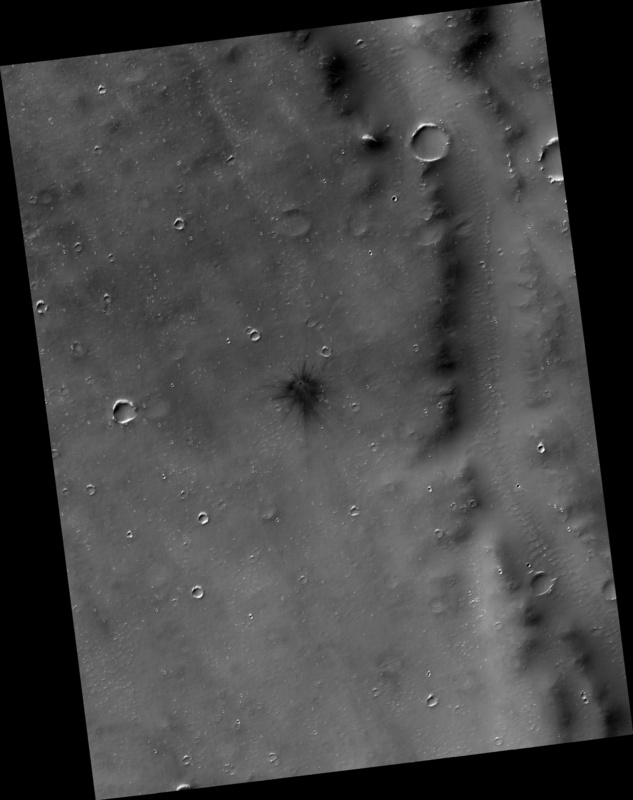 That image (highly color enhanced; click here for a grayscale version) shows a crater seen by a camera on the Mars Reconnaissance Orbiter in 2011. We can tell it’s young because it’s still surrounded by the ejecta blanket; material that blasted out of the crater and settled around it. That stuff tends to erode away (or get covered in dust and sand by Martian winds) relatively quickly. But in this case, we know just how young it is: it wasn’t seen in images taken of the same spot by a camera on board the Odyssey Mars probe… in 2009! 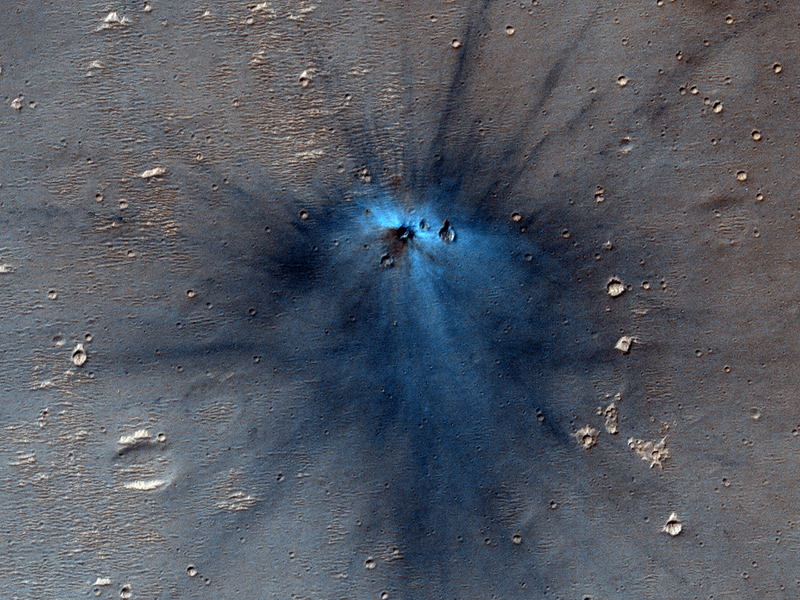 In other words, this crater is less than three years old! That’s so cool. And it speaks to the power of having multiple, sustained missions to other worlds. Things change. If we take one picture and then walk away, we’ll miss a lot.